Looks complicated? It's very simple! I didn't post anything for almost two weeks, right? I'vd been really really busy for school and works. 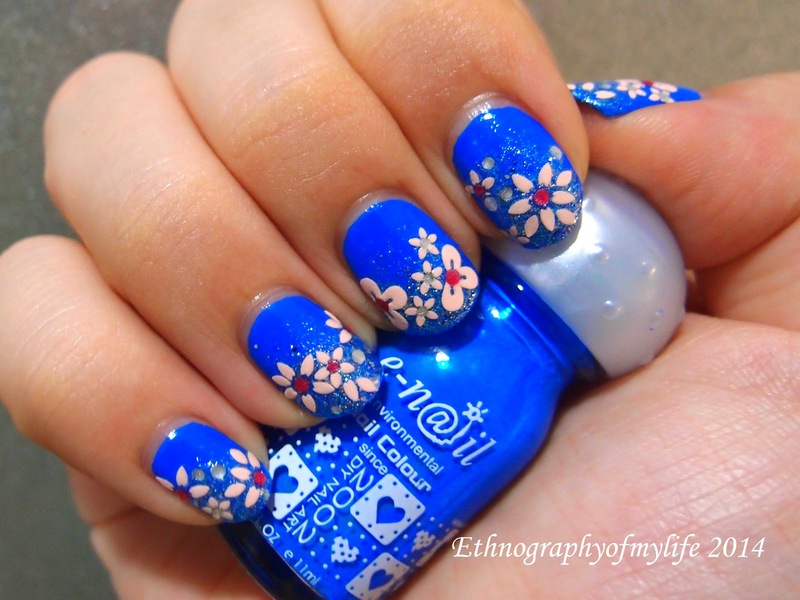 Finally I can take a break now as my nail art works are piling up again. This is a quick fix post means something simple. 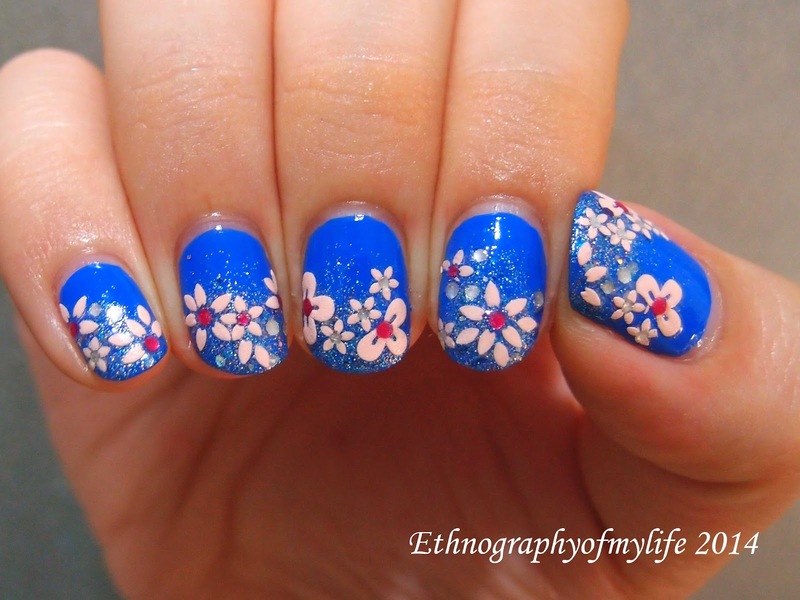 I did the blue and some Baby's Breath glitter randomly on the nails. Put on some nail stickers and it's done. Actually I was scared at night when I needed a bathroom break. Those stickers are glow-in-dark type. I didn't know it because I got in a yard sale and the labels are in Korean. Anyway, a quick and pretty nail art!